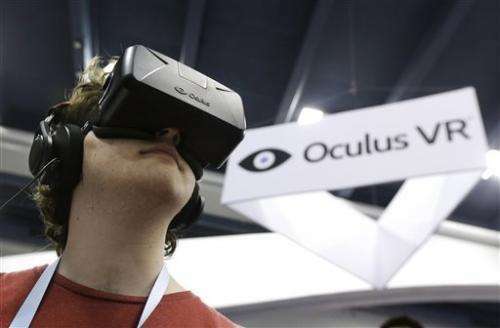 Oculus has unveiled a new prototype of its virtual reality headset. However, the VR company still isn't ready to release a consumer edition. The hew headset features a higher resolution and refresh rate, 360-degree head tracking and integrated headphones. Oculus CEO Brendan Iribe says the new prototype is not perfect, but it's closer to the consumer version. 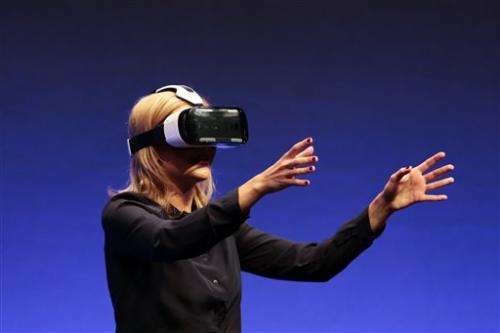 The Irvine, California-based VR company revealed the new headset nicknamed Crescent Bay on Saturday at its first conference for developers. Oculus' headset covers a user's eyes and can create immersive worlds that react to head movement. The original prototype of the Oculus Rift headset was unveiled in 2012 and has received attention from video game and film makers. 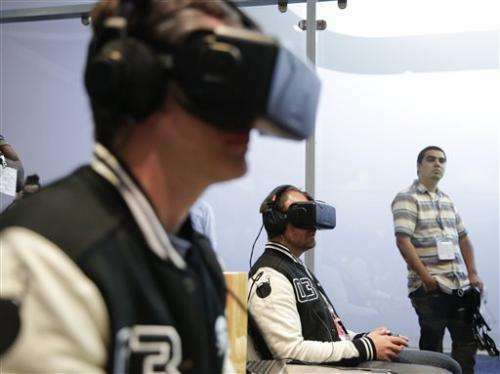 Oculus VR Inc. was acquired by Facebook earlier this year for $2 billion. For a sellout company that abandoned their Kickstarter roots they sure are taking their time comming out with a product. $2 billion, really? Technical details? To be fair, the link to Oculus' blog had little more. Did have some pictures though. Looks pretty much the same as earlier versions, aside from a sprinkling of little white dots on the outside case. For tracking? Does it need to be tracked by external cameras? What yet remains to be done to produce a consumer version? Is there a timeline? I imagine Mark Zuckerberg is most interested in seeing this happen. I would love to see a version that looks like a helmet so it's not sticking 3 inches in front of your face and I think it would feel like more of an immersive experience then a pair of goggles.... I'm sure it's been discussed but i've never seen one done other then movies.